Clay is the basic material that we receive from mother earth. This product is used to create several craft items like the ones listed below. Clay is a very versatile product that is soft to the touch and dries up hard quickly. So making anything with clay is pretty easy. 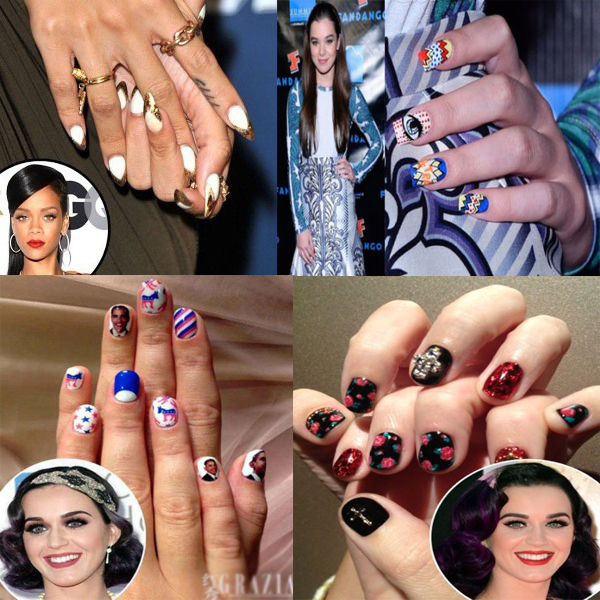 All you need is ideas and you can turn your ideas into something wonderful with your hands. This wonderful game is made even more colorful with clay crafts. Here you can make tiny turtles for the game and a blue base with brown lines. The clay items you make can be kept to dry and harden as well. 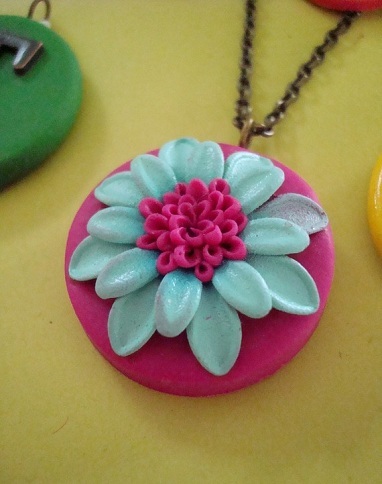 Here is a nice mother’s day gift that you can make using polymer clay. 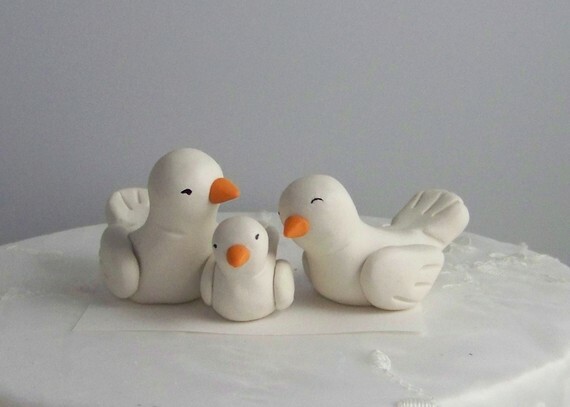 The clay craft ideas uses white clay to make three birds with yellow beaks. The family of birds looks nice when set in a table. 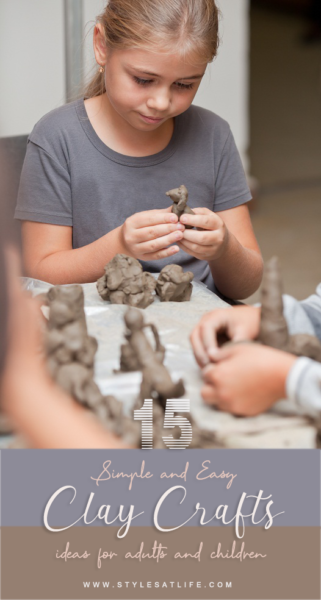 Make this Valentine’s Day a kid friendly one with these clay crafts for kids for kids. 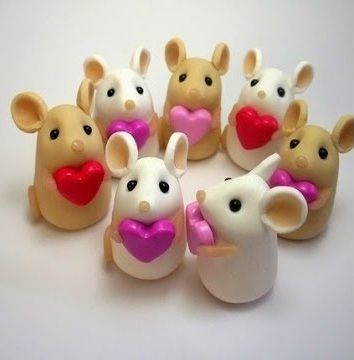 This little mice made from clay can be colored in various pastel colors. You can then place a little heart in the hand of the mouse. This is a nice valentine’s gift for anyone. Here are are the cool clay pot crafts to make. The cactus plants in a cute little pot are made in various colors too. You can have the prickly cactus or colorful smooth ones. 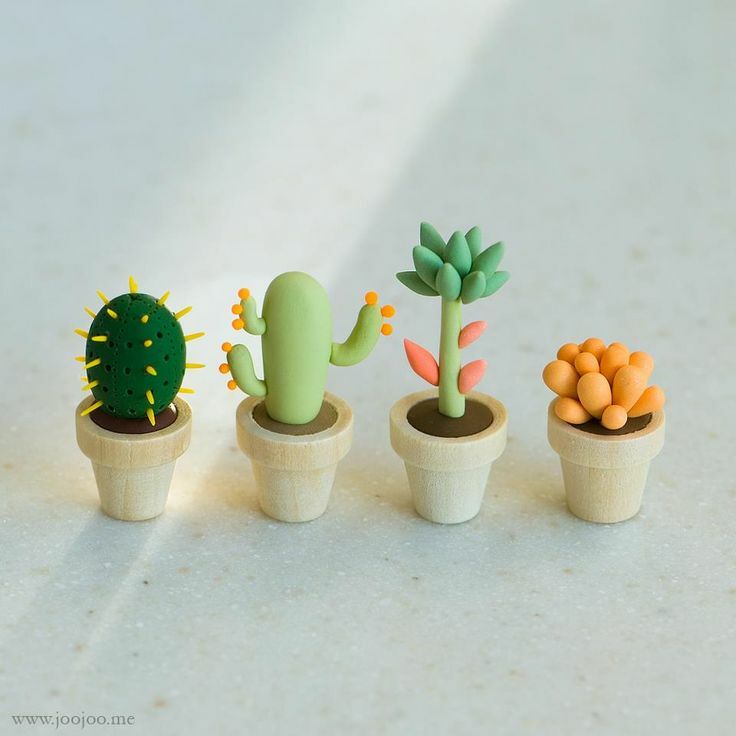 The miniature plants can be fun to gift to people as well. Kids can make these lovely clay pendants that are based on the fast food theme. 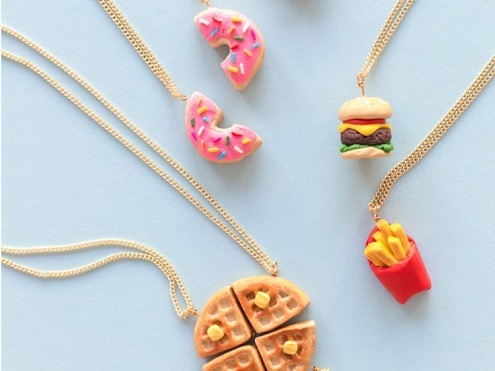 The miniature donuts, burgers, waffles and fries look really awesome on a chain. These clay crafts for adults can easily be done by kids with some guidance. Here are nice modeling clay crafts that you can use to teach people about clay. 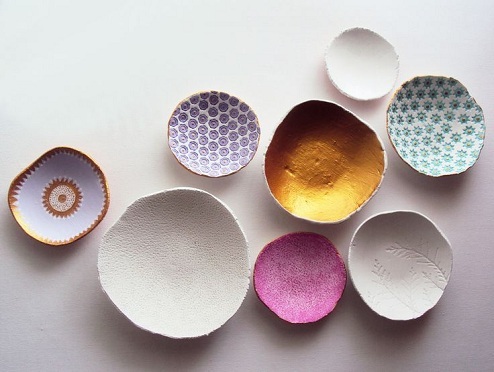 These simple bowls can be decorated as you wish with lovely colors. They can then be stamped too to get nice designs on them. They are then air dried to get firm. 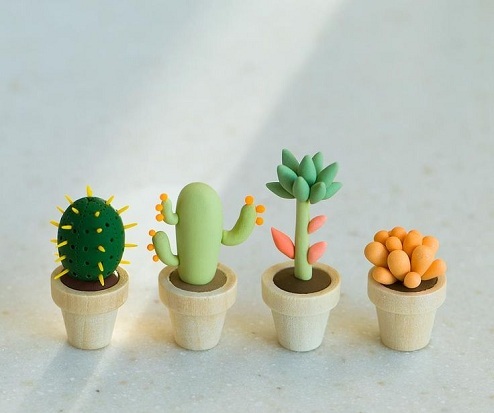 These awesome clay children’s crafts ideas are perfect for little hands. 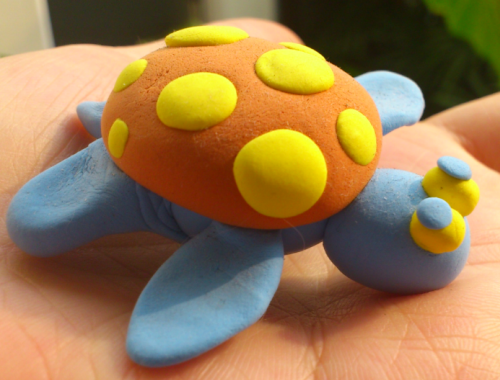 You need to give them round clay pieces to form the colorful turtle. They will be amazed with the result and would love to play with their new handmade toy. Using air dry clay you can create many different clay handicrafts. 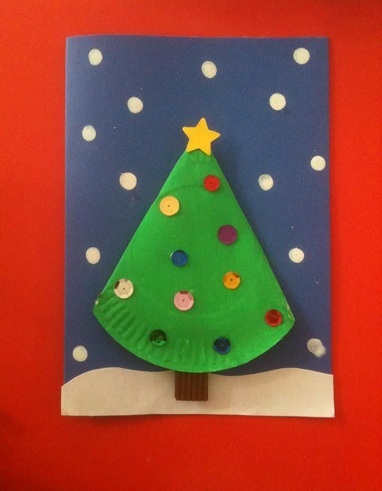 These gift tags are made from round clay pieces that are stamped and then decorated with sequins. The gift tags have a hole on the top to pass a ribbon through. Make these cute fox themed clay coasters to use while having tea. The clay coasters are decorated and painted with orange color. 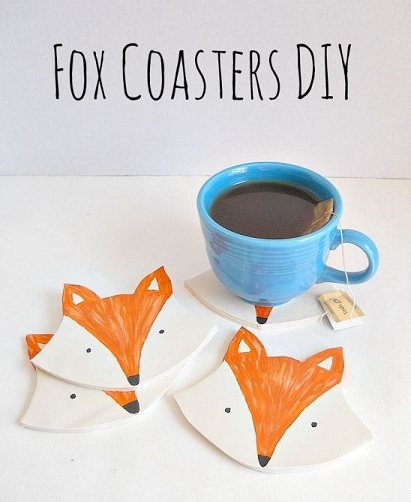 The fox face looks great on the coaster. A set of these can also be given as gifts to friends. This cuddly puppy dog is made from clay and then air dried. 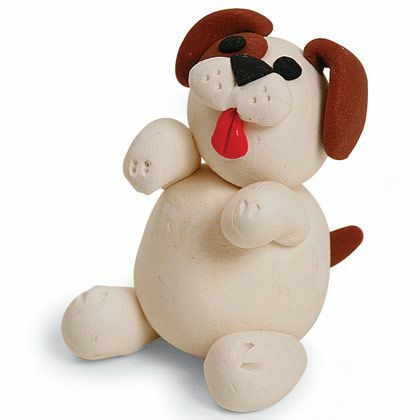 The white and brown dog is detailed well with the use of clay tools for modeling. You can make these little puppies for gifts as well. This one decorative piece which looks funny and gives cool effect to showcase. 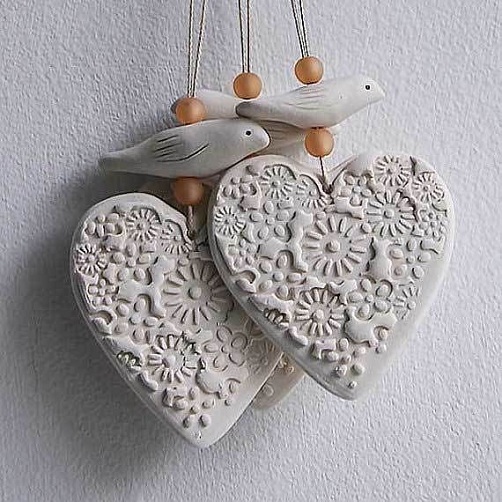 Here is a nice porcelain heart and bird hanging that can be gifted to your spouse on a special occasion. The clay heart is decorated with intricate lace work by place a piece of lace on the wet clay. 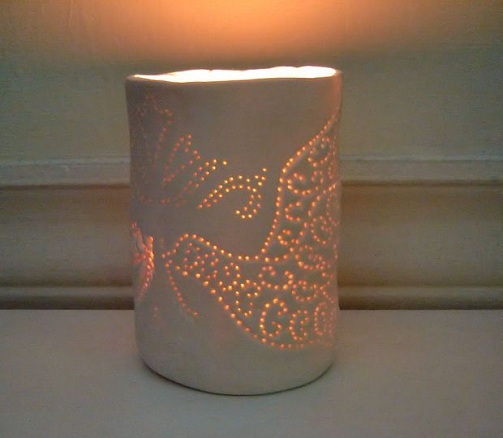 The impression of the lace comes onto the clay and this looks stunning. Gift this to your loved one on the day of valentine. Make this lovely flower pendant for your mother or sister on their birthday. The flower pendant uses two shades to create a 3D effect. You can attach the pendant to a thin chain for a nice look. Place it in a gift box and present this handmade item to your loved one. 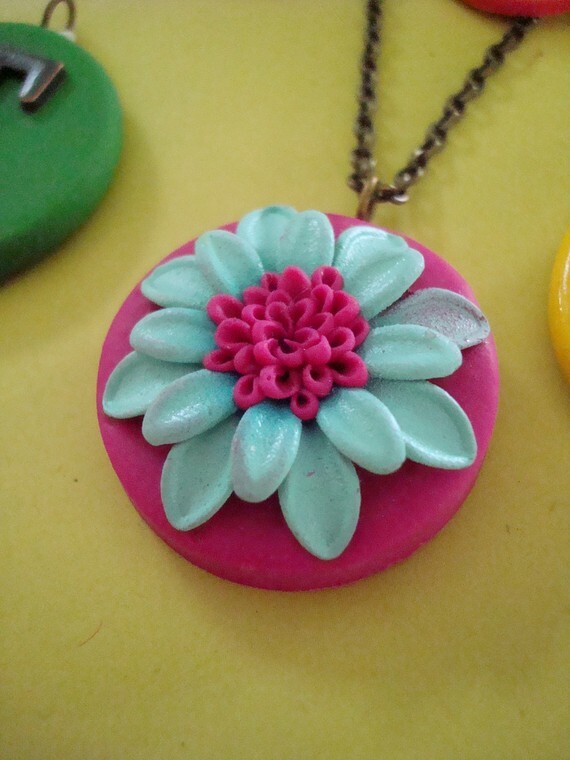 You can color them as per your choice if you planned making handmade clay flower pendant. This lovely ring dish can be used by a couple for their wedding day. 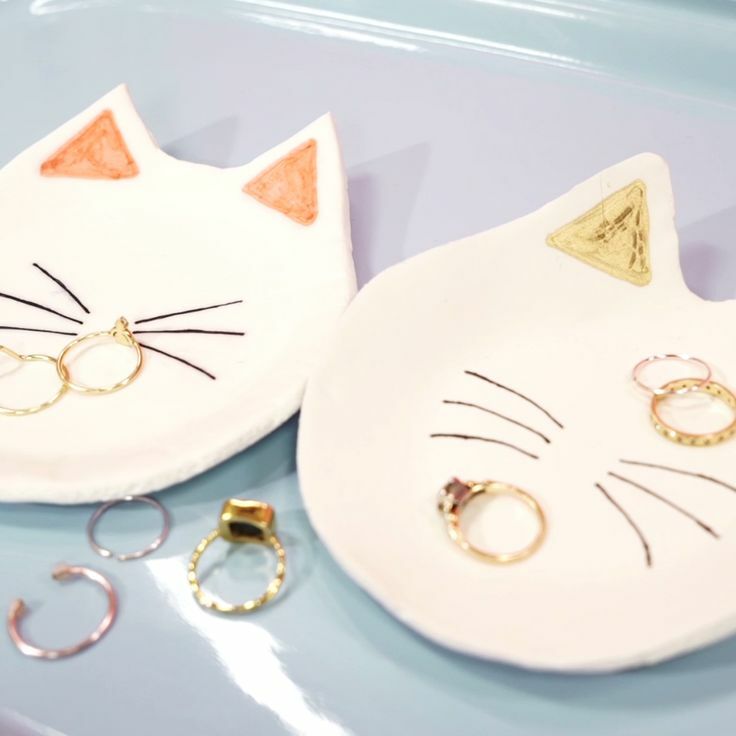 The ring dish keeps the rings that will be worn on the wedding day by the bride and her groom. This particular ring dish is a cat ring dish. This will be nice idea or you can give this to your friend’s engagement ceremony, it will surely give decorative touch to ceremony. 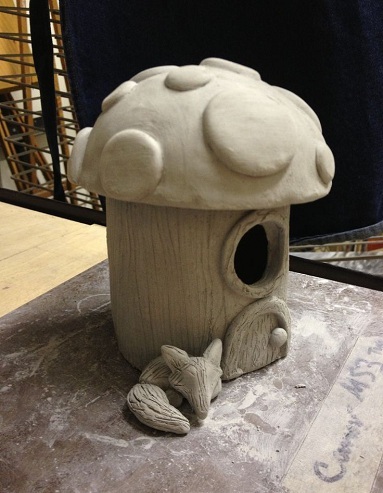 Here are the clay craft ideas for adults to make this gorgeous fairy house. The dome shaped house has a hole in the wall for the fairy to fly in. You can color the fairy house and then place a little clay gnome near it too. You need to guide your kids about structure of this home, they will surely enjoy this stuff. 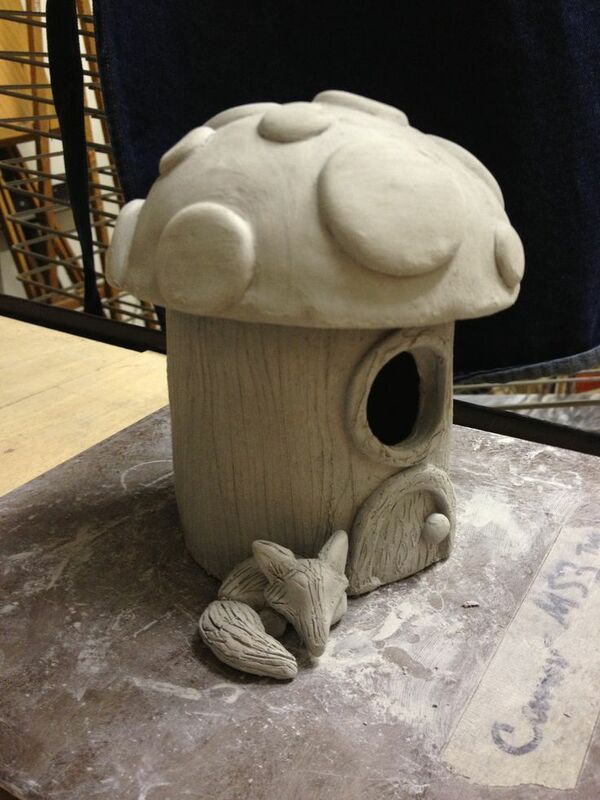 This clay candle holder is a brilliant way to make a clay lantern. 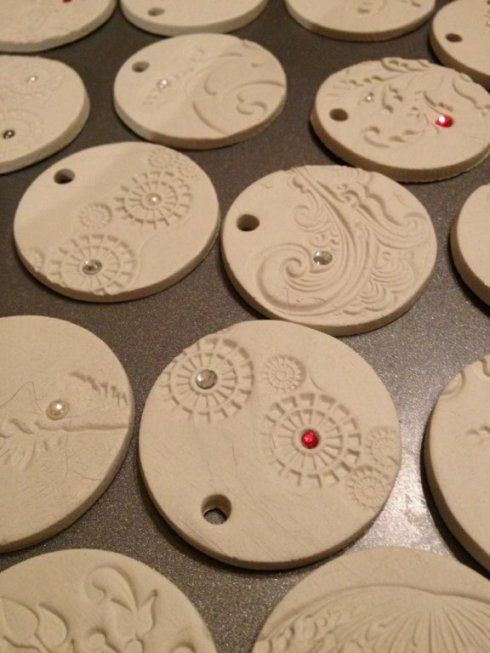 The hollow clay mould is decorated on the outside and can have little holes to let the light out. 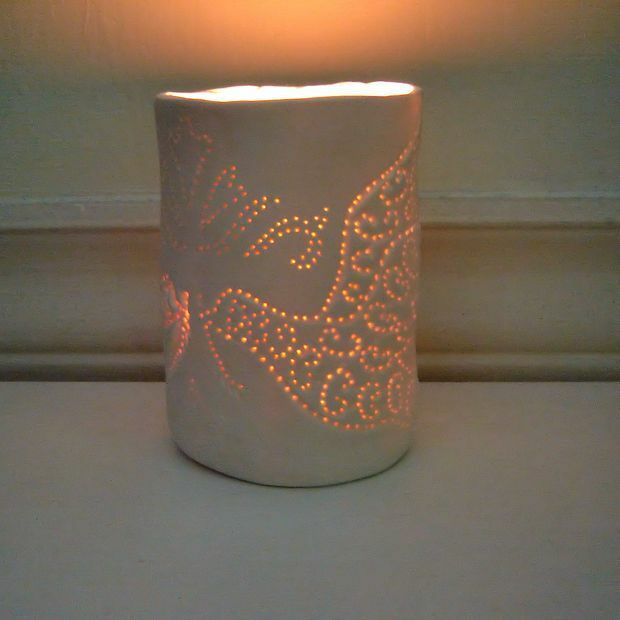 This is a rustic craft idea that looks stunning when the candle is lit. 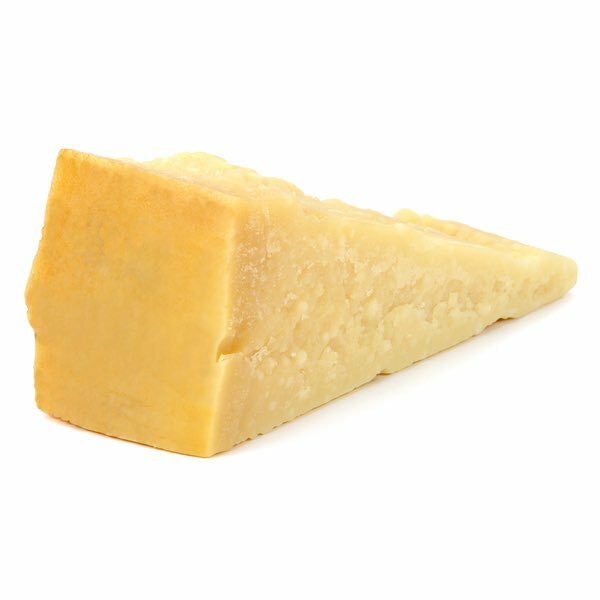 You can bring this stuff on your any outing plan or any outside garden dinner plan. When kid’s school holidays start that time parents gets question in their mind like how to let my kid busy these days, in summer season they avoid to let them play in outside and also same in rainy season too. So for those parents if they want to keep their kids busy these holidays then making a clay crafts will be great idea for their kids. 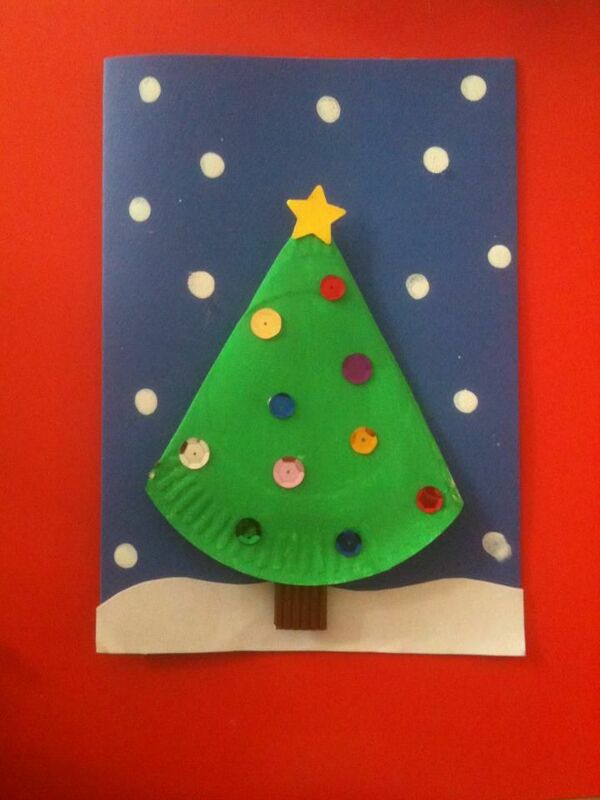 Kids love to enjoy making funny and creative stuff these days. Let them enjoy by this clay craft materials and help or guide them how they can utilize their day making crafts using clay. Clay art and craft ideas are perfect gift items and decorative pieces that are long lasting.